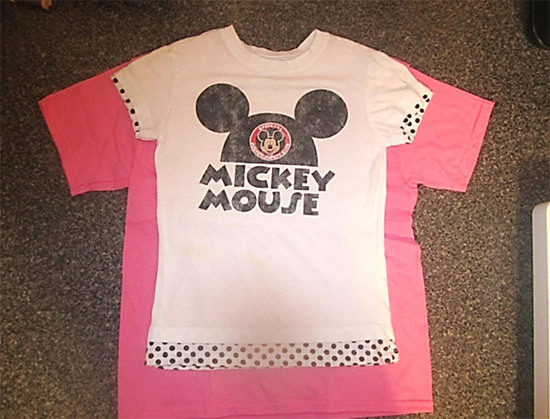 Everyone has that old t-shirt that they’re just not ready to get rid of. Maybe it’s faded, or maybe it’s just always been too big for everyday wear. 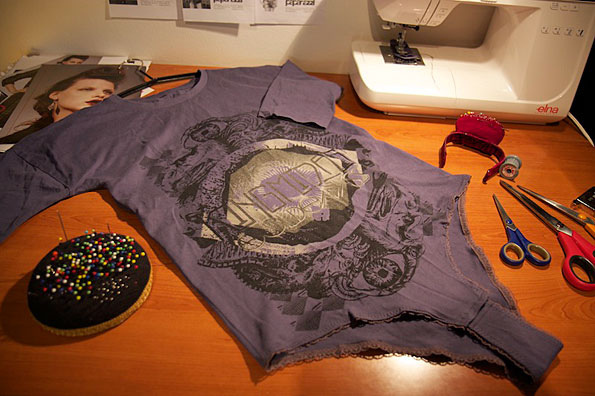 DIY projects are usually the answer to saving old clothing from meeting the trash can! 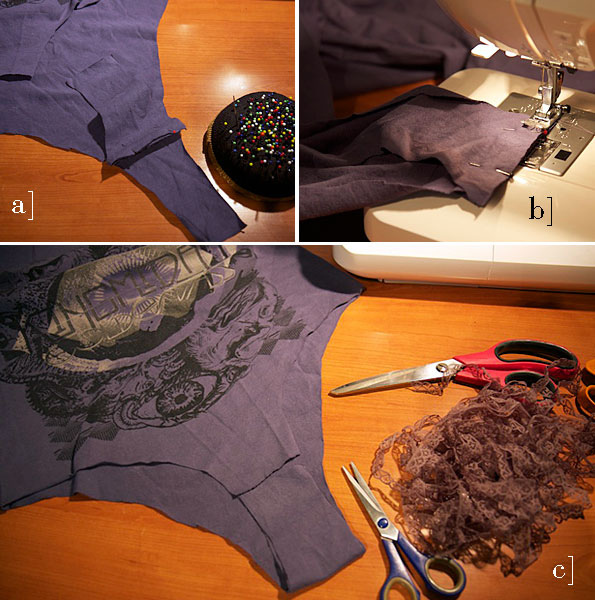 Check out this technique for turning a big, old t-shirt into a versatile, trendy bodysuit! 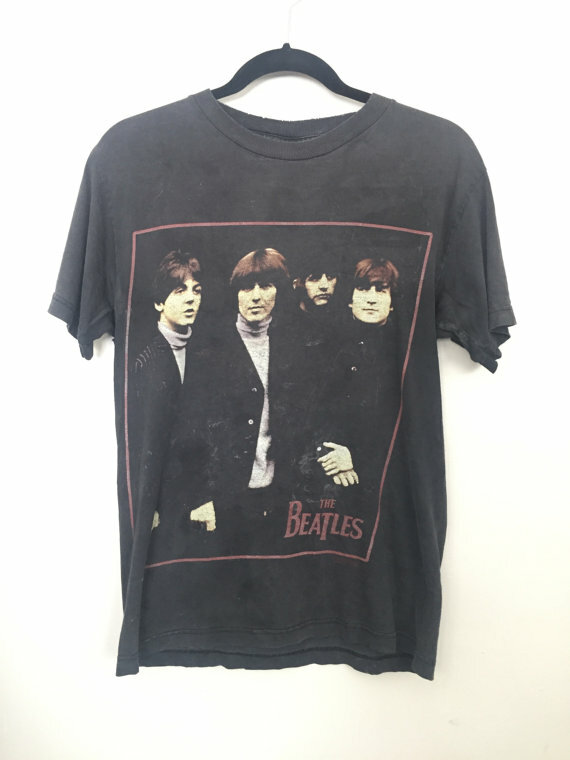 Find your old t-shirt. Shirts that are at least a little bit oversized work best. Choose something awesome, like a band tee! Place the pair of under wear you’ve chosen on top of your shirt so that the center of the bottom lines up with the middle of the shirt’s front along the bottom. 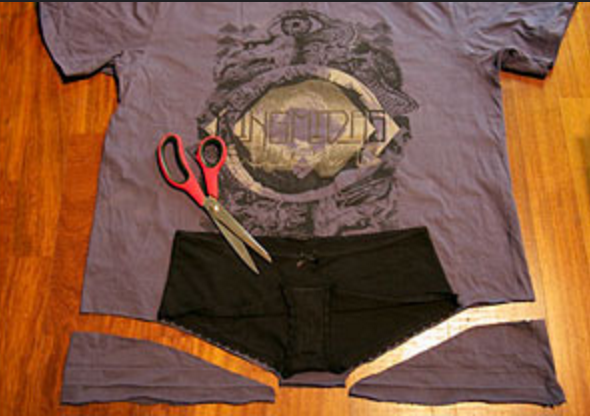 Cut the t-shirt in line with the leg holes in the underwear. From the scrap t-shirt piece you just got off, cut two strips of fabric that measure the same height and width as the crotch of the underwear. Place your correctly sized shirt on top of the oversized shirt. Cut pieces from the larger shirt around the smaller shirt to size it properly to your body. The smaller shirt acts as your pattern. 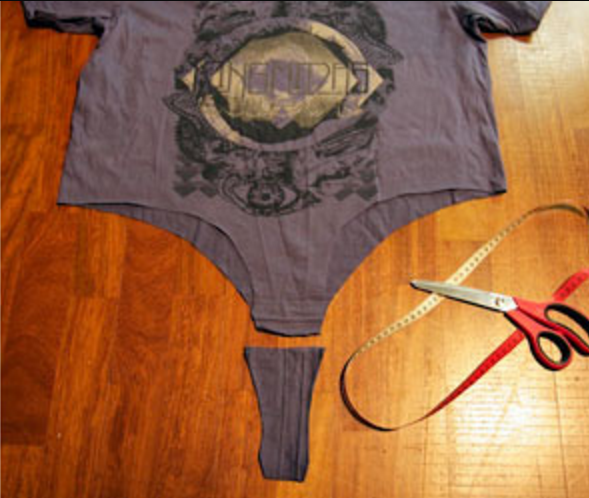 Turn the newly cut pieces of your larger shirt over so the outsides (i.e. the front and the back) face each other. sew the side seams together with the pieces turned this way. With your bodysuit still turned inside out, line up the two pieces of material you cut for the crotch earlier, pinning them to each other. Then, line up the end of one piece with the back of the bodysuit where it tapers. 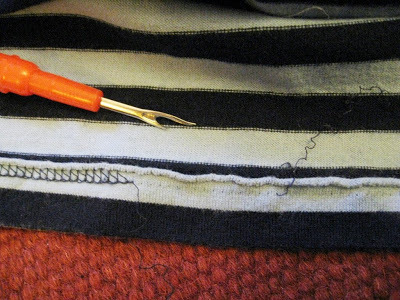 Sew the edges and the seam. Fold and pin the hem around the leg holds of your bodysuit in place. 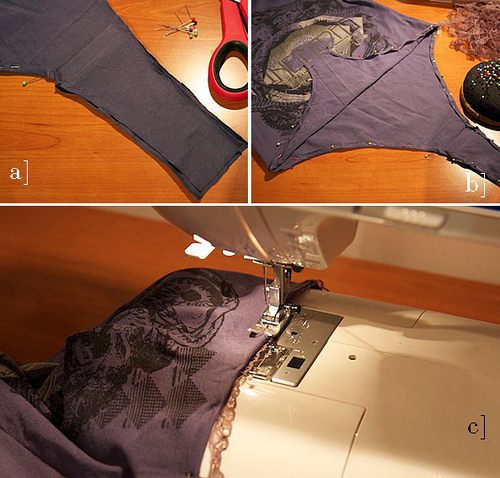 Pin your lace elastic into place along the hem as well. 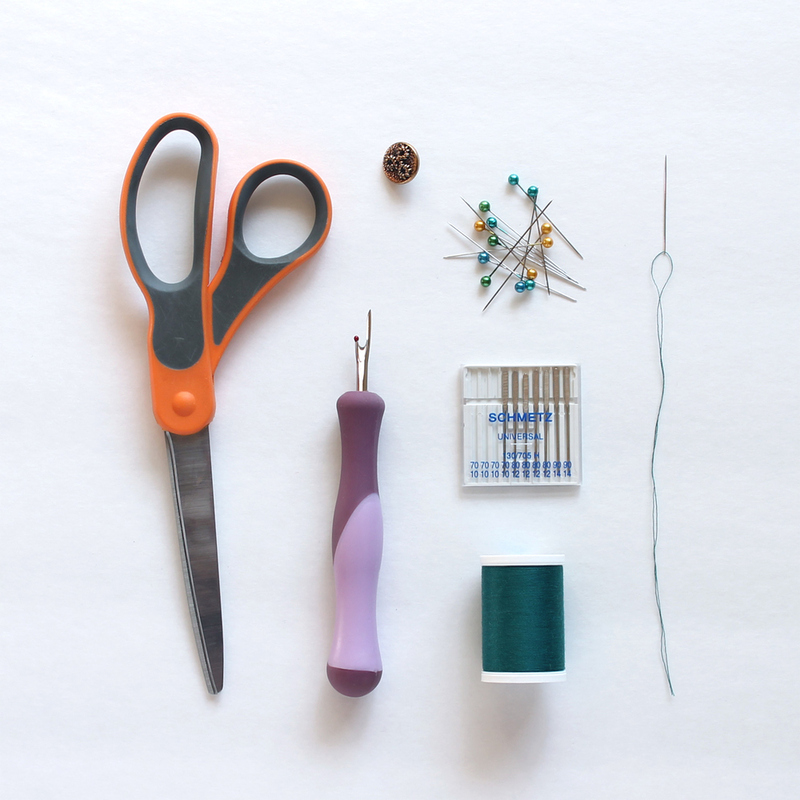 Sew it all into place using a zig zag stitch on your sewing machine. Fold the edges of the crotch pieces under and sew along the fold. 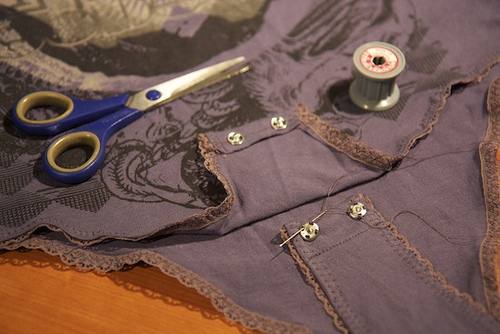 Hand sew your snaps into place at the edge of your crotch panels. This lets you undo the bodysuit to get it on and off.